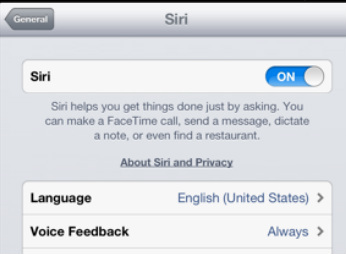 Siri is a native function of iOS that allows users to dictate and/or ask questions. To switch language, you can choose from numerous options under the Language setting within 'Siri' as seen to the left. 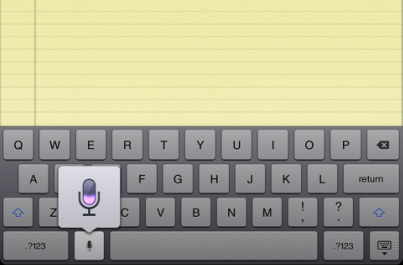 To use 'Siri' in an app, push the microphone symbol (Siri) located next to the spacebar in the keyboard. Dictate what you would like to be written then push the 'Siri' button again. Your dictation will be translated into text. **You must be connected to Wi-Fi for Siri to work.